In this session I will first explain to use ARDS (Amazon Relational Database Service) and then binding the ARDS instance to get accessible from your app. 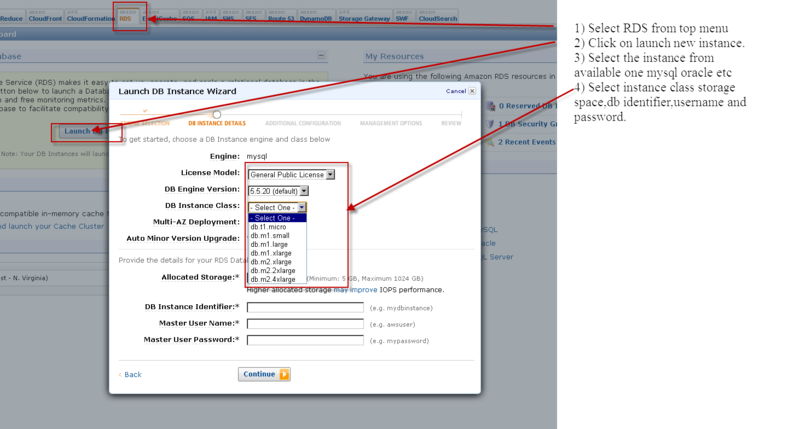 Once selected all the necessary options the DB instance is now seen on RDS dashboard. Possible select the default security group and grant access for application or the specific IP to access the same. With this credentials and security settings you can now connect to your db instance. People have different opinions on saving images in database. Some says, “Why bother database if we can handle this by saving images to disk”. I am agree with this;). Most of the requirements can be fulfilled by saving the images to disk. This reduces the unnecessary load on MySQL. Here is the small code to save the image in MySQL with the help of PHP. Images are saved in MySQL as BINARY data. BINARY data can not be saved in varchar or char data types, for this purpose we need a data type which can handle binary data. BLOB columns are treated as binary strings (byte strings). The following table is fulfilling our requirements for a simple test with a BLOB field. Now we have a MySQL table ready to store the image. Next steps are easy i.e. Now we have saved the image in database successfully. The next step is to display the image.